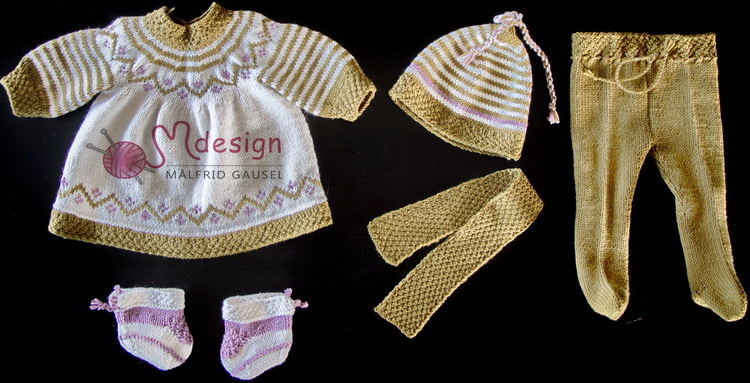 I have enjoyed designing and knitting this neat outfit with warm and lovely everyday clothes for your doll. I always have some yarn in stock at home. 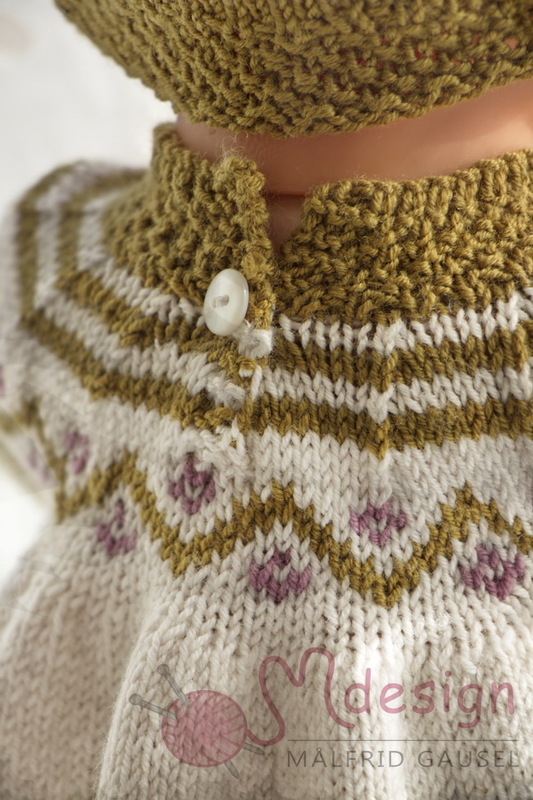 This time I choose yarn in the colors white and green. 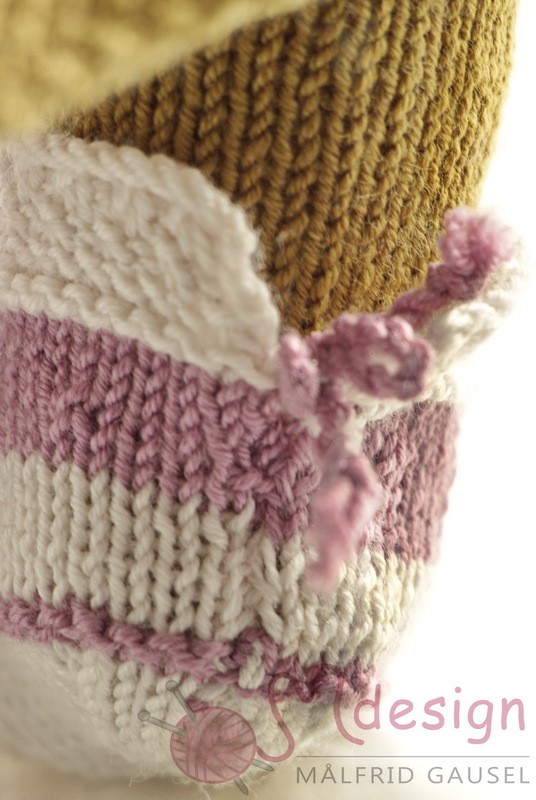 To lighten the clothes up a little I used some leftover yarn in lilac. 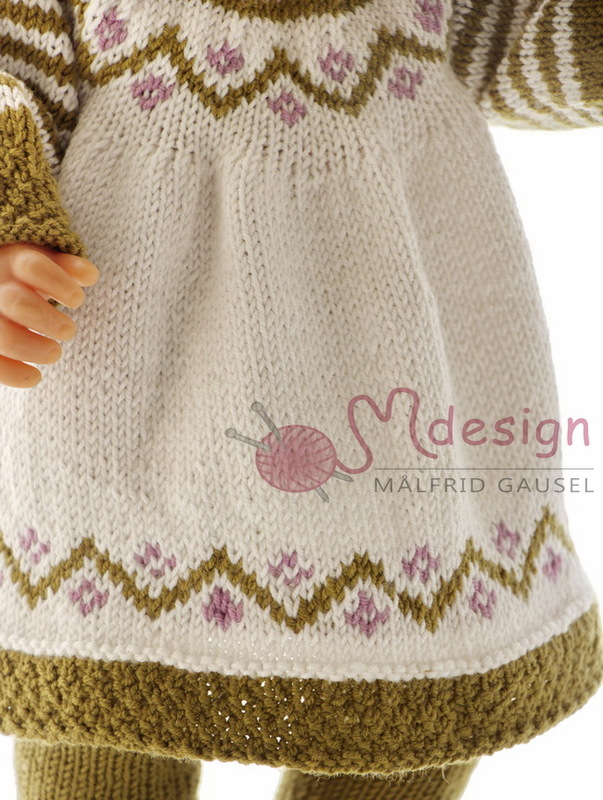 Thought this color could be beautiful for the small flowers in the pattern designed for this dress. 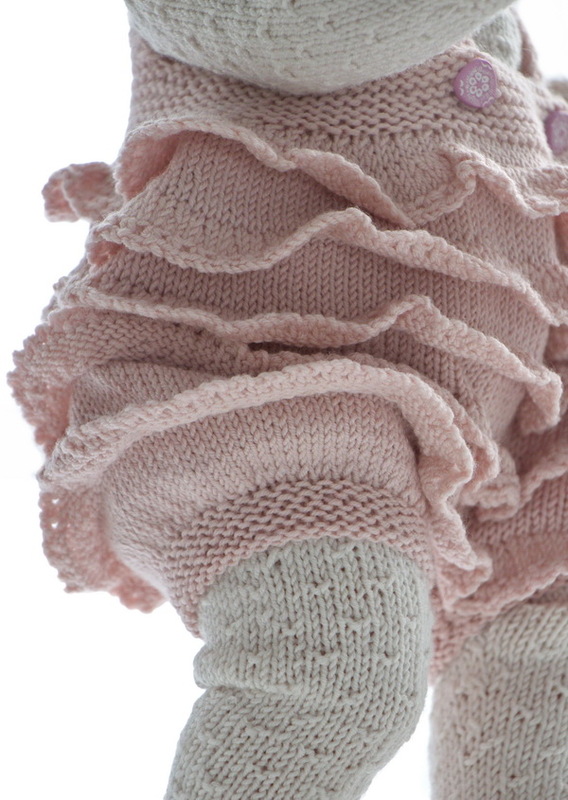 I knitted the dress in white. 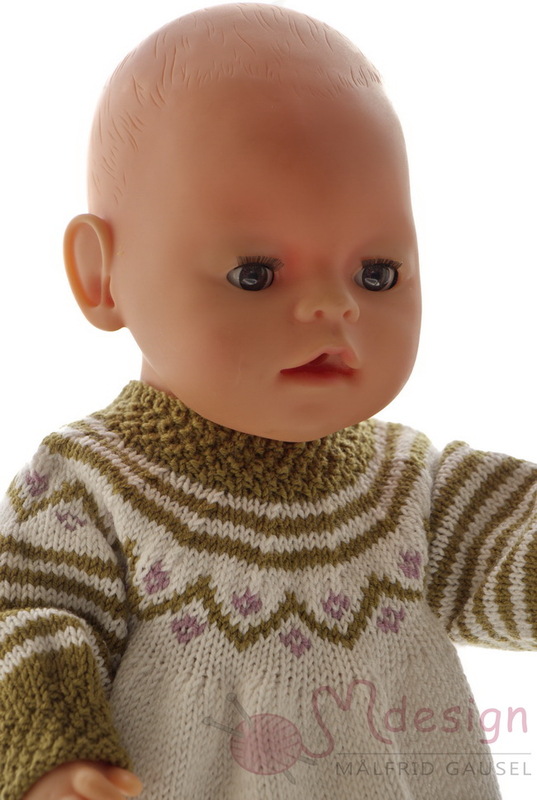 It has wide edges knitted in green moss sts. ... the sleeves and around the decreasing I think this dress is charming. 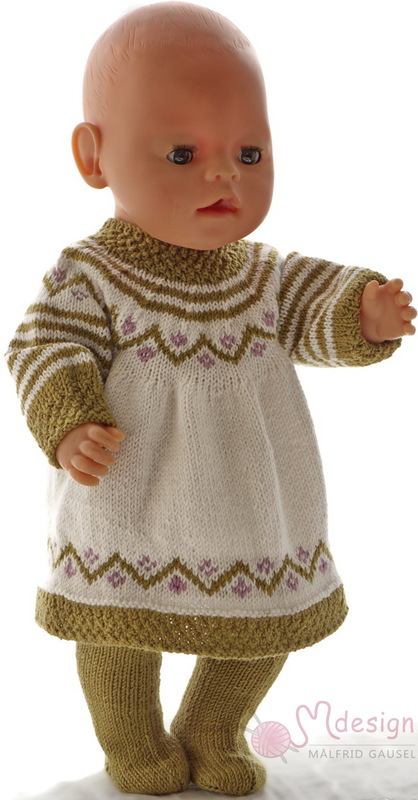 Then I knitted plain pants having a wide double moss stitch edge and a row of eyelets around the waist. I made a chord and pulled it through the eyelets. 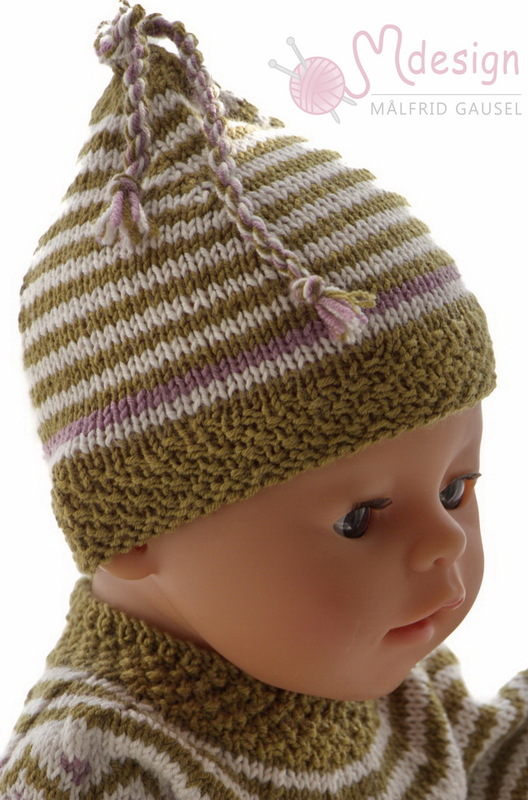 The cap is knitted with stripes in white and green. A lilac stripe picks up the color from the flowers on the dress. I made a chord in all 3 colors , made it a bow and sewed to the cap. I knitted a plain scarf in dbl green moss sts. 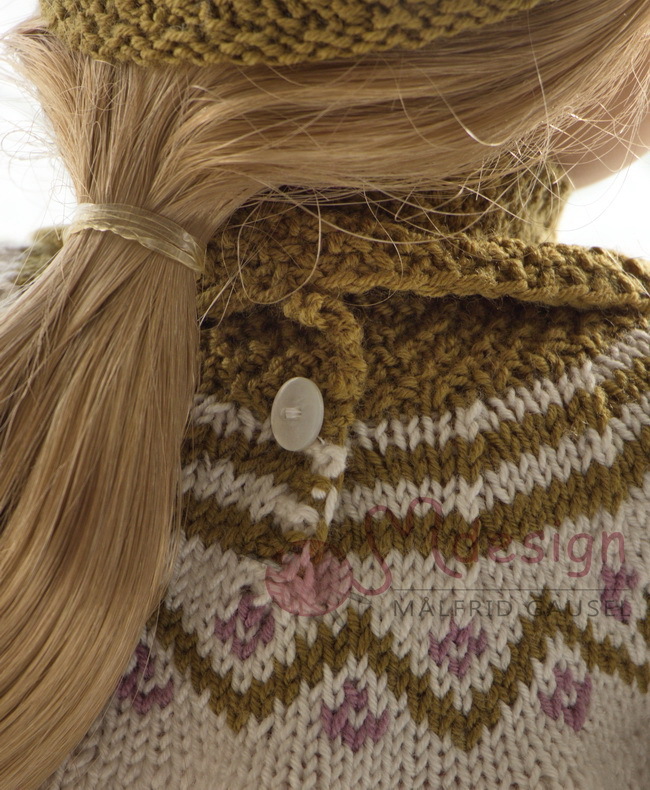 Soft and lovely to wear around the neck. They were perfect for this outfit. 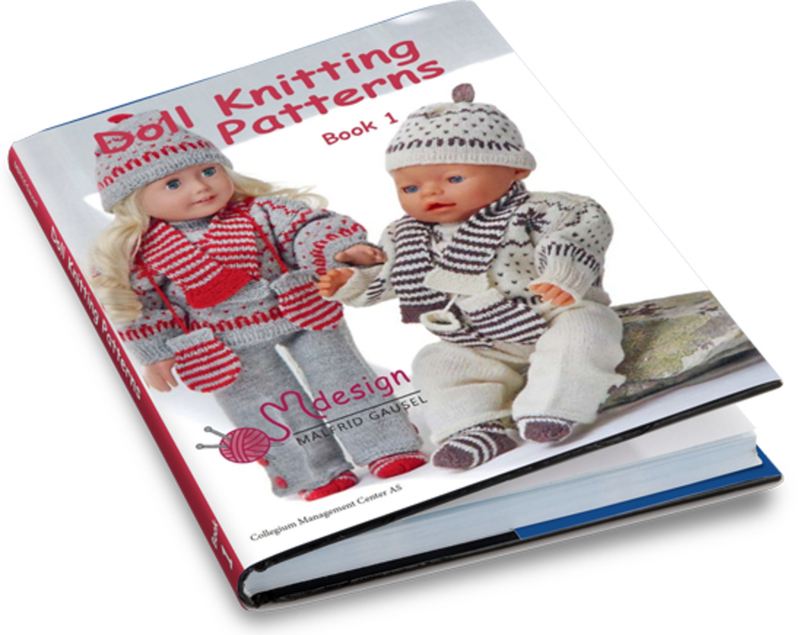 hope you will enjoy knitting these clothes for your doll. 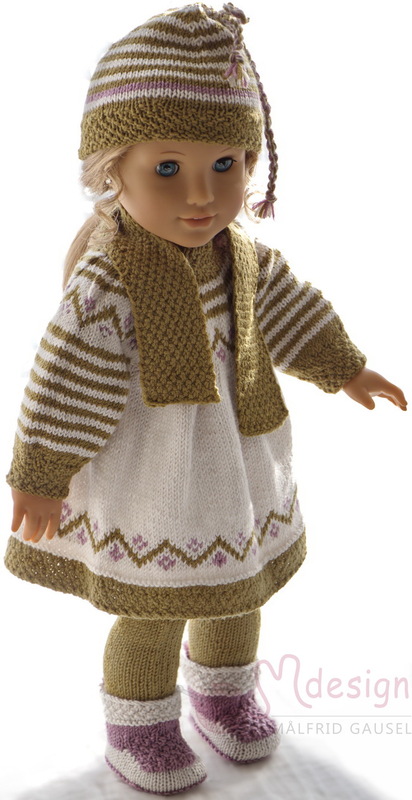 I am sure your doll will look well dressed and so pretty in this outfit.